Home to world-class museums, perfectly prepared BBQ and one-of-a-kind attractions, Beaumont is a must stop on a Texas Road Trip. Plus, Beaumont sits on IH-10 at the Louisiana border, which means there’s plenty of Cajun culture here, too. If you’re planning a stop in Beaumont, this 24-hour guide will help you see and experience some of the best of Beaumont before continuing your Texas road trip or venturing further across the South. Here are to the top things to do on a quick visit to Beaumont, Texas. Don’t spend your day exploring Beaumont without looking the part. 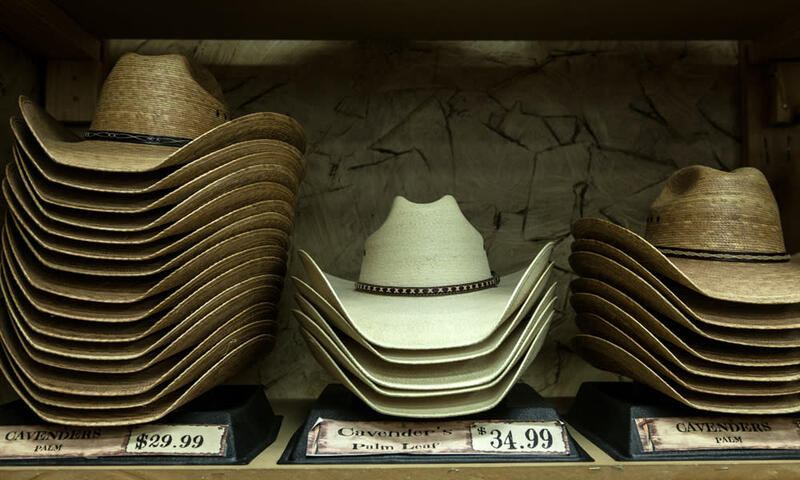 Head over to Boot Barn or Cavendar’s to stock up on Western wear like cowboy boots, hats, leather belts and more. Beaumont has a Wild West history, and high quality Western stores are still the norm here. Boot Barn, for example, has been selling crafted footwear since 1879, giving shoppers a taste of authentic leather boots. Also, cute Beaumont souvenirs are available at Spindletop Gladys City Museum Gift Shop. As lunchtime rolls in, it’s time to check out some of the best local seafood places such as Floyd’s Cajun Seafood and Texas Steakhouse off I-10 South. You can try dishes like Cajun-style pasta, gumbo, steaks and jambalaya. The restaurant’s menu is heavily inspired by the Gulf Coast and flavors from both Texas and Louisiana. 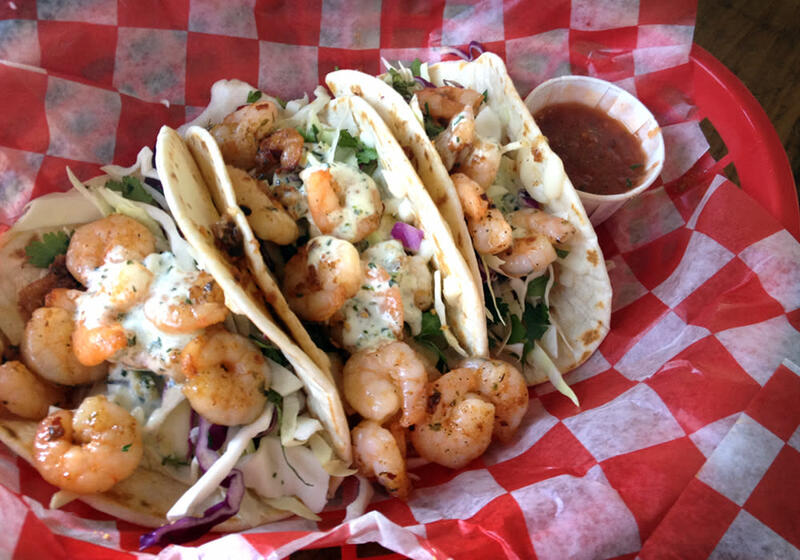 Another fantastic way to get your fill of seafood is to try out the shrimp and grits or fish tacos at Tia Juanita’s Fish Camp. All seafood dishes are served fresh from the gulf and made with Southwestern spices and flavors. Or head to Sartin’s West Seafood for a blue plate special. The dish consists of lightly battered fish, shrimp and hush puppies. Or you can try a local favorite at Sartin’s: barbecue crabs. Learn about the history and culture of Beaumont by visiting one or more of its local museums. 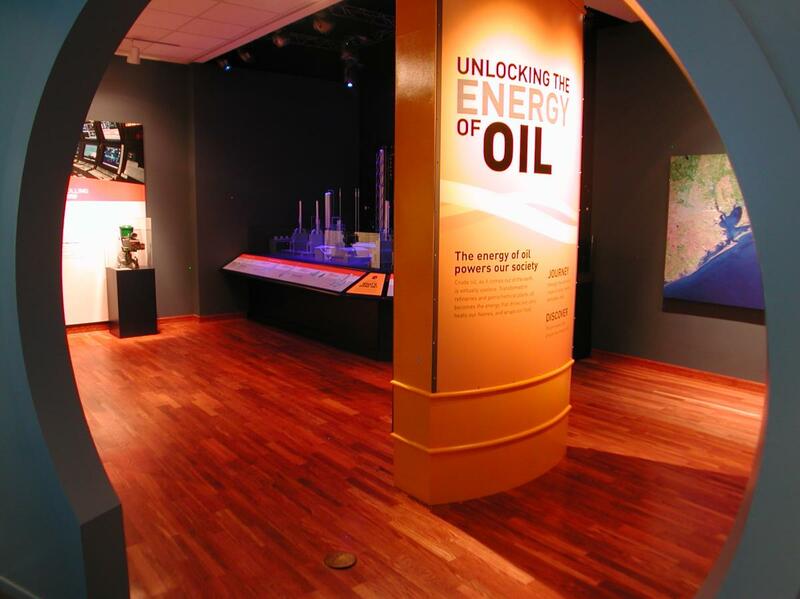 The Texas Energy Museum is home to various artifacts from the town’s oil refinery days. You should also plan a stop to learn about the world-famous Spindletop, an oil field with a gusher that erupted for nine days in 1901—basically striking gold for all of its residents upon discovery. Today, a Spindletop replica gusher stands at Lamar University as an important reminder of Beaumont’s history. Another popular option in the local arts and culture scene is the Art Museum of Southeast Texas, which is known for its contemporary paintings and sculptures. Exhibits rotate seasonally, so there’s always something new to see for repeat visitors. Finally, McFaddin-Ward House is a colonial-revival mansion-turned-museum and a haven for travelers who appreciate the finer things in life. Visitors can check out hundreds of artifacts once owned by wealthy residents like Beaux-Arts vases, fine china and silverware. Beaumont has a number of must-try restaurants, depending on your preference. If the weather’s nice, try The Grill by Arfeen Smith & Payne and sit at one of its outdoor tables under twinkling patio lights. The menu includes items like ravioli, pork shank, duck confit and sea bass. For hearty burgers and large portions of french fries, Madison’s on Dowlen is the spot to go. The laid-back spot is a bastion of comfort. The restaurant doubles as a hip hangout with pool tables, regular happy hours and live music. If you want to pair dinner with entertainment (and love a good selection of craft beers on tap), consider The Logon Café & Pub on Calder Avenue. Vintage musical instruments and posters hang on the walls here, and live music plays while you pick and choose from a menu of sandwiches, burgers and salads. 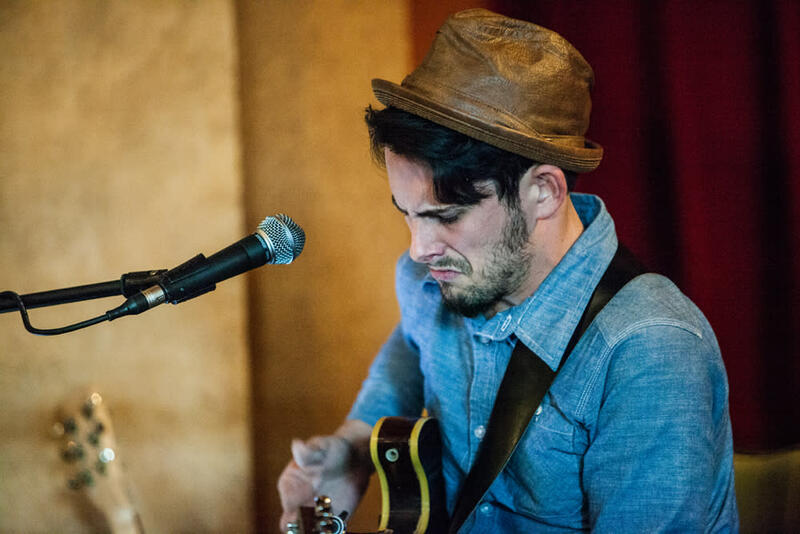 Another great spot to enjoy live music and cocktails is Luke’s Icehouse, a charming restaurant with its own outdoor bar (a perfect place to bring along the dog, if he’s on the road trip with you). The outdoor seating is a cool spot with patio lights and a fire ring, and you can order dinner here, too. It will be something along the lines of a large bacon cheeseburger, tacos or chicken wings—reminding you how good Texans have it. There’s no need to venture far from the highway on your road trip. 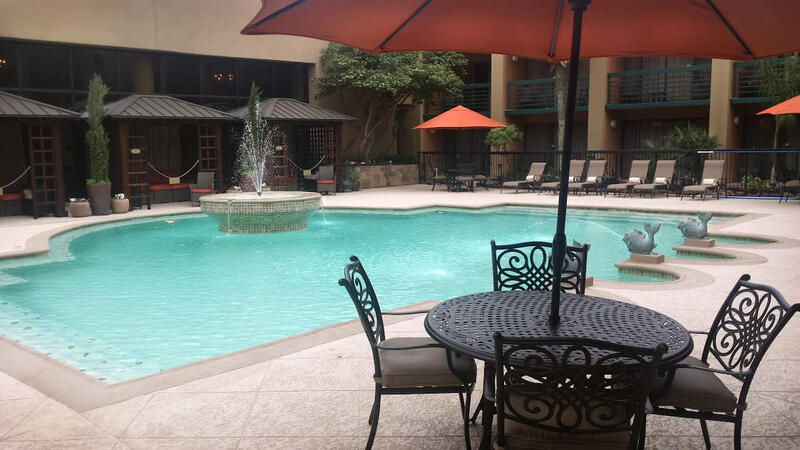 Beaumont is home to clusters of hotels conveniently located near the interstate. The MCM Eleganté is a luxury hotel with a gorgeous pool surrounded by lounge chairs and a handful of covered cabanas. The new pool ushered in the start of dive-in movies. A large, 21-by-13-foot screen set up adjacent to the pool screens movies for guests, with great views from the water or deck chairs. Other hotels in the area near the highway are Hilton Garden Inn, Holiday Inn Beaumont Plaza, Residence Inn, Hampton Inn and Homewood Suites. If you’re headed out of town to continue your Texas road trip, don’t miss out on your opportunity to visit some of the most talked-about roadside attractions in the area, all easily accessible with your car. Located off I-10 in Beaumont, a larger-than-life alligator statue (135 feet long to be exact) bears a toothy grin to drivers as they pass by. In downtown, the original world&apos;s largest fire hydrant stands, greeting those who stop to marvel at its massive form. Standing at 24-feet tall in front of the Fire Museum, the hydrant is easily recognized by its Dalmatian pattern is always a fun stop for family photos. Other great photo spots are next to the world-famous Muffler Man that towers 25 feet high on 11th Street or the Lucas Gusher Replica at the Gladys City Museum.